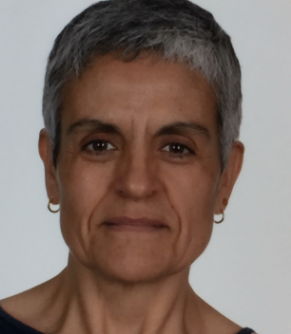 Associate professor of Statistics and Operational Research at the Department of Mathematics of the University Autonomous of Barcelona (UAB) since 1998. Degree in Mathematics from the Universtity of Barcelone UB (1987). PhD in Mathematics from the same university (1994). Heavy traffic limits on Queueing Theory. Bayesian networks with applications to criminology, health care and other areas. Performance measure for classifiers (Machine Learning). Applications of the Probability and Statistics to different areas of the field of Sciences and the Social Sciences. Coordinator of the research group "Quantitative Methods in Criminology (MQC)" of the UAB. Delgado, R.; González, J.L. ; Sotoca, A.; Tibau, X.A. 2017. A Bayesian Network Profiler for Wildfire Arsonists. Lecture Notes in Computer Science 10122: 379-390. Delgado, R. 2016. A packet-switched network with On/Off sources and a fair bandwidth sharing policy: state space collapse and heavy traffic. Telecommunications Systems 62: 461-479. Delgado, R. 2016. A two-queue polling model with priority on one queue and heavy-tailed On/Off sources: a heavy-traffic limit. Queueing Systems 83: 57-85. Delgado, R.; López, J.; Sanz, G. 2014. Necessary and sufficient conditions for strong comparability of multicomponent systems. Discrete Event Dynamic Systems 24: 1-14. Delgado, R.; Morozov. E. 2014. Stability analysis of cascade networks via fluid models. Performance Evaluation 82: 39-54.